On Saturday, February 11, 2017, Parkway Central Library welcomes back the United Way and the Campaign for Working Families for our second annual Free Tax Prep & Resource Fair. Community organizations will be available to connect tax filers to local, state, and national resources that help individuals and families to grow their financial assets. No cost tax preparation assistance will be available to all on a first-come, first-served basis. Nearly a quarter million Philadelphians qualify for the Earned Income Tax Credit, but each year nearly 40,000 of us don't apply. The Department of Revenu for our city estimates the combined value of this unclaimed tax credit to be nearly $100 million dollars. For those who do apply for the credit, many are paying private tax preparers to apply on their behalf, which in effect turns a portion of the EITC into a subsidy for the tax preparation industry rather than a direct support to the working class. We encourage everyone to spread the word about the Campaign for Working Families' 2017 list of FREE Community Tax Sites (also available as a printable flier), where families and individuals can get their taxes prepared by professionals at no cost. The City of Philadelphia also maintains a map directory of free tax preparation sites for individuals who may qualify for the EITC. For individuals and families who'd like to file their taxes on their own, there are several options to file Federal and State taxes for free. The Self-Serv Tool from Solutions for Progress's The Benefit Bank not only allows tax filers to file Federal and State taxes for free, but it also allows families to apply for Federal Student Financial Aid through FAFSA. Turbo Tax has a program called TaxFreedom to provide free State and Federal tax filing to individuals making under $33,000 or to families making up to $53,505 if those families have three or more children. If you go the route of doing your own taxes, don't miss our Tax Season Mix Tape to keep you company as you shuffle papers and crunch numbers. What time will the free tax service take place on February 11th 2017 at your location? 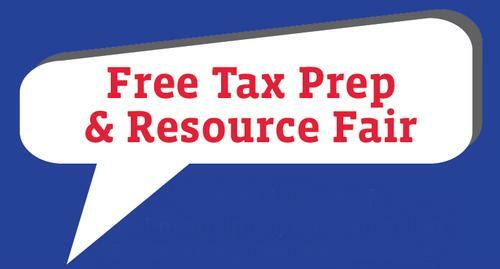 Free tax assistance will be available on a first-come first-served basis beginning when the doors open at 9:00 am. No new tax filers will be seen after 3:00 pm. However, the "Printable Flier" link above lists community sites that can continue to assist tax filers throughout the tax season. When can we sign up for this? Hello Maria, there's no preregistration for this event. The doors to the Central Library will open at 9:00 am, and those wishing to have their taxes done will be seen on a first-come first-served basis until 3:00 pm. Come at 9:00 am, or anytime before 3:00 pm. If you are unable to be seen that day, we'll help you identify other sites to receive the same services before taxes are due in April. Hi I would like to know where in Philadelphia pa is filling out taxes for free and I would line to make an appointment . 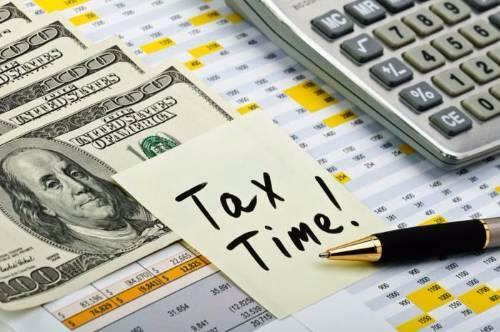 Hi Carmen, The Central Library's largest tax no cost tax preparation event will be Saturday March 30th from 9:00 am – 3:00 pm. No appointments, it's a drop in service: https://libwww.freelibrary.org/calendar/event/84162 There are multiple smaller tax-focused events at neighborhood libraries across the city from now through April 2019: https://libwww.freelibrary.org/calendar/?q=tax Our Government Publications department has written an article that includes links to all the free and low cost tax filing support services across Philadelphia: https://libwww.freelibrary.org/blog/post/3629 Good luck this tax season!